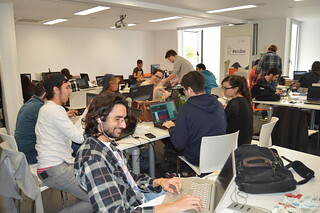 Ludum Dare is an online community best known for "Ludum Dare", the Accelerated Game Development Event of the same name (also called a "Game Jam"). 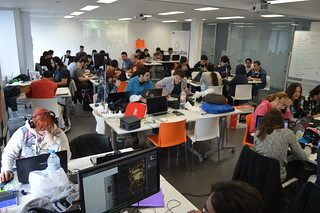 During a Ludum Dare, developers from around the world spend a weekend creating games based on a theme suggested by the community. The next Ludum Dare (LD36) has a Real World Gatherings in a Real tropical venue: Gran Canaria! 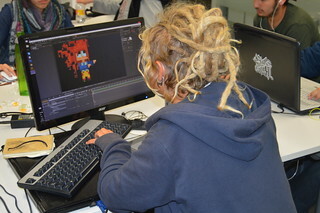 If you want take part of this Game Jam you are in the right place. 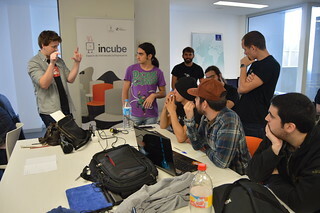 La Ludum Dare es una comunidad online encargada de organizar el evento del mismo nombre: una Game Jam o evento acelerado de desarrollo de juegos. En una Ludum dare, desarrolladores en diferentes lugares del mundo se pasan un fin de semana completo creando un juego a partir de un tema elegido por la comunidad. Este evento pretende acoger en la isla de Gran Canaria a todos los que quieran participar en la siguiente Ludum Dare bajo un mismo techo. Eating. Lunch included for all 2 days! (Saturday-Sunday) and Dinner on Friday and Sunday. We will also have Canarian Snacks! Power. All the power surge you need! Bring some power strip for your team. Internet. There's wifi at the venue. There may be a wired router too. Equipment. Bring your own computer/tablets/esotic device and don't be afraid to share! You're a Jonh Doe running away from a golem of Atlantis. ¡Defiende el planeta Amish de la tecnología... con tecnología antigua!